The hip labrum is a protective ring of cartilage that is found outside the rim of the socket of your hip joint. The labrum’s role is to hold the top of your femur securely within your hip socket. The labrum assists in shock absorption and stability of the hip. Tears can occur from trauma, impingement, or dysplasia. Total hip replacement is considered one of the most successful operations ever invented. It was called the “Operation of the Century” by the Lancet due to the tremendous pain relief it affords, it’s safety and reproducibility, as well as the incredible functional improvements patients enjoy. 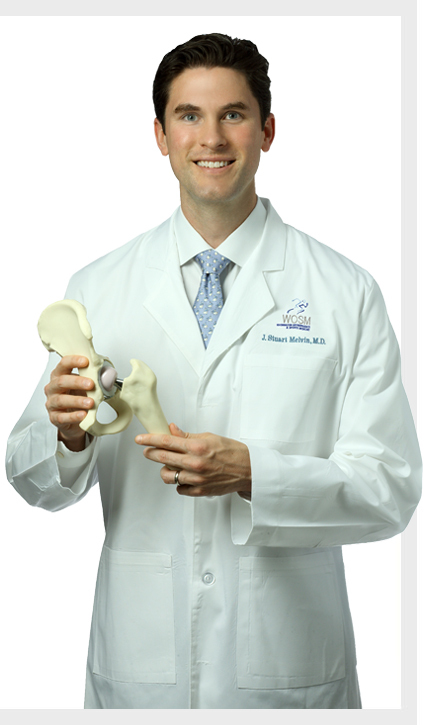 The minimally invasive anterior approach to total hip replacement is the newest approach to hip replacement. It has gained in popularity since the early 2000’s due to it’s muscle sparing technique which leads to faster recovery, less pain and improved hip stability. Bilateral total hip replacement means replacing both hips during one operation. For appropriate patients, this can eliminate the pain in both hips with a single operation, while substantially reducing the overall recovery time. While hip replacement has enjoyed tremendous success for the vast majority of patients, there remains a small percentage of implants that can fail overtime. Unfortunately, when implant failure occurs, a revision operation is often required.